- Flexible rates, taxes, membership, reservation charge, late charge, offers. - Point of sales module. - Various types of reports. Our exclusive Silent Conference System is a carefully designed audio system that is perfect for corporate events, parties or meetings. Our wireless headphone system will handle multiple speakers, meaning that you get a cost-effective service for your venue that saves you both time and money. ACCORD EQUIPS is a rental house. 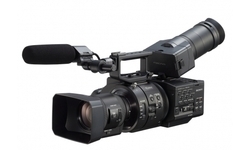 We are one of the renowned companies of Video Equipment Rental Service. Our services are accomplished employing the advanced techniques. These services are extremely praised in industry due to their timely completion. We render these services in diverse terms and forms that meet on industry and client’s demand. 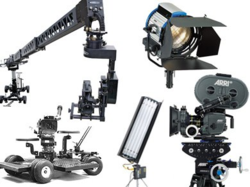 Being a well-known organization with the latest market trends, we have come up with an attractive range of Freefly Movi M10 Video Camera Rental Service. The provided services are highly demanded for its timely completeness and high performance. Apart from this, our customer can avail these services from us in different plans. We offer all types of Video Conferencing Equipments on rental basis for our clients. We have standard definition and also high definition equipments. These devices can be installed by our expert technicians at our clients venue. Our technicians also provide technical support during the video calls. Business Octane's Long Term Managed Rentals helps customers to evaluate new technologies in an expensive way .Organization incurs no risk of obsolescence as the agreement is only upto 11 months . We offer 24-hour support, 7 days a week in Delhi / NCR (All) Delhi - Central Delhi East Delhi North Delhi Others Delhi South Delhi West Faridabad Ghaziabad Greater Noida Gurgaon, Noida.Plasma is the name which is now familiar to each and every person. Plasma television is the ultimate source of entertainment and performance.